There is so much talk and concern about the honey bees. So many flowering plants depend on the honey bees for pollination. According to research and reports, the honey bees are dying. Well why are they dying? There are a couple of theories as to why, neither one of them are good. The first theory blames GMO crops. GMO stands for Genetically Modified Organisms for those who do not know. A number of companies such as Monsanto and Dupont have genetically modified the seeds to withstand just about anything. These seeds are now resistant to bugs, fungi and other parasites and hold larger yields which results in more profit, which is what these companies are after. Without any concern of the environmental impact or the detriment of bees, humans and other life on Earth. Greed is what motivates them, not human welfare. 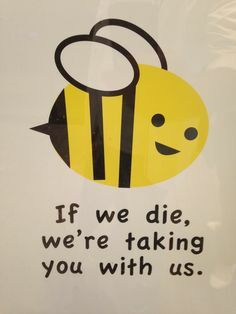 With that said, when the bees pollinate these crops and their immune systems cannot handle the pesticides and the now genetically modified plants, simply because they are being poisoned. So their immune systems become weak and they fall prey to disease and die. The second theory is our beloved WI-Fi waves. Our cell phones, internets, and wireless everything. These waves are thought to throw off the bees internal GPS if you will. They cannot navigate themselves properly and cannot make it back to their hives. These waves also break down their immune systems and leave them open to sickness and disease. This is quite alarming because without the bees pollinating our crops, human starvation would be in epic proportions. There are things we can do to help stop this by purchasing non GMO foods whenever possible. It is safe to say that most foods in our ordinary food stores such as Publix, Winn-Dixie and the like, are predominantly GMO foods. Unless they have a NON GMO verified label, you are ingesting GMO foods. Bad for you, bad for the bees, bad for everything. Awareness, knowledge and activism are our main weapons against these companies who produce GMO foods. As a salon owner and stylist, I choose plant based hair color and plant based hair care products that are organic and non GMO. Organic Color Systems and Shear Miracle Organics Hair Care products are in the forefront of responsible and sustainable Hair products. So whether it be a haircut or hair color that you need, John Bruno Salon provides the best in Hair services using organic products! Join me in making the switch to organic and you will be buzzing with joy!